Last month in the Southwestern region of Mexico called: Jalisco. Three film students in their 20’s were kidnapped by The Jalisco New Generation Cartel gang who seemingly mistook the students as rival gang members. 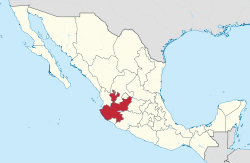 The kidnapping happened on March, 19 in the town of Tonala. The kidnappers were said to be cartel members dressed as fake police officers seized them. The students names were: Salomón Aceves Gastélum, Jesús Daniel Díaz and Marco Ávalos. They were killed then, dissolved in acid. Their partially dissolved genetic remains were recently discovered on a farm, which was what they used to help identify the missing students. Ever since Mexico declared war on organized crimes in December 2006, more than 200,000 people have disappeared or have been killed. 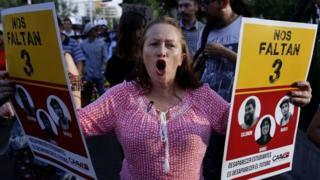 The Mexico’s war on organized crimes is going nowhere due to widespread corruption in the country. In 2014, Just South of this recent incident, 43 students were kidnapped in In the state of Guerrero, by the cartel. The cartel is extremely powerful and very persuading, basically controlling the country with: bribery of politicians, police, and even military. Terrorism, threats, the list goes on and on with a whole bunch of illegal activity. There’s not very much the country of Mexico can do. Methamphetamine is a white crystalline drug that people take by snorting it inhaling through the nose, smoking it or injecting it with a needle. Some even take it orally, but all develop a strong desire to continue using it because the drug creates a false sense of happiness and well-being—a rush strong feeling of confidence, hyperactiveness and energy. One also experiences decreased appetite. These drug effects generally last from six to eight hours, but can last up to twenty-four hours. MDMA is a synthetic drug that acts as a stimulant and hallucinogen.It produces an energizing effect, distortions in time and perception, and enhanced enjoyment from sensory experiences. It has also been described as an entactogen a drug that can increase self-awareness and empathy. Ecstasy is often used to refer to MDMA in the tablet or capsule form, which is the most common way people take the drug. Researchers have determined that many ecstasy tablets contain not only MDMA at different concentrations, but also a number of other drugs or drug combinations that can be harmful. Adulterants found in ecstasy tablets purchased on the street have included methamphetamine, the anesthetic ketamine, caffeine, the diet drug ephedrine, the over-the-counter cough suppressant dextromethorphan, heroin, phencyclidine (PCP), and cocaine. Molly—slang for “molecular”—refers to the crystalline powder form of MDMA, usually sold as powder or in capsules. Some people mistakenly believe that Molly does not contain contaminants often found in ecstasy. In fact, chemical analyses of drugs sold as Molly and seized by the U.S. Drug Enforcement Administration (DEA) have shown that they often contain other types of drugs and may not contain any MDMA. For example, epidemiologists from Washington State and Florida reported in 2013 that substances being sold as Molly were actually methylone, a synthetic stimulant commonly found in “bath salts” In 2015, ethylone, a synthetic stimulant similar to methylone but with some differences in binding within the brain, replaced methylone as the main substance marketed as Molly. This underscores that people who take Molly often do not know what they are ingesting, and the substances sold as Molly may pose serious health risks. Another popular method of use is to smoke cocaine that has been processed to make a rock crystal also called freebase cocaine. The crystal is heated to produce vapors that are inhaled into the lungs. This form of cocaine is called Crack, which refers to the crackling sound of the rock as it's heated. People who use cocaine often take it in binges—taking the drug repeatedly within a short time at increasingly higher doses to maintain their high. 2.Marijuana can be smoked, eaten, vaporized. 3.Kush (AKA Weed) can be turned into another type of THC which is called oil; oil is can only be smoked on high temperatures. 4.Weed can be rolled into tobacco wraps which is called a blunt and you can use certain types of papers to make a joint. 5.Weed can not kill you but you can get sick from it if smoked too much according to Nick Wing who is a reporter for the Huffington. 6.There are 29 states that allow you to smoke marijuana if you are 21. 7.Marijuana can have different effects on different people. 8.Weed can make you trip just as if you are taking a tab of acid or shrooms. 9.Marijuana has a really strong scent but once turned into oil the scent dies down. 10.Instead of throwing away the stems off the nug of weed you can use the stems to make stem tea. 11. I don’t believe marijuana is good for you but I don’t think its bad for you either. When most people think about addictions to prescription medications, they think about painkillers. Drugs like Vicodin, methadone, and OxyContin dominate news programs that discuss addiction, and these are drugs that dealers might hawk on the streets when people talk about wanting to get high. But there is another class of medications that has been associated with addictions: benzodiazepines. Of that class, Xanax is very common and also very dangerous. The Center for Substance Abuse Research reports that there are more than 15 types of benzodiazepines available in the United States today. These medications are used to help people deal with anxiety concerns, and since they can be sedating, they are classified as Schedule IV substances under the Controlled Substances Act. Alprazolam (trade name Xanax, among others) is a short-acting benzodiazepine. Xanax comes in the form of elongated white pills, which can be oval. It is generally used to address moderate to severe anxiety and panic attacks. It is also used as an adjunctive treatment for anxiety associated with moderate depression. Xanax can also assist with anxiety and sleeping disorders. Ketamine, categorized as a dissociative anesthetic. is used in powdered or liquid form as an anesthetic, usually on animals. It can be injected, consumed in drinks snorted or added to joints or cigarettes. Ketamine was placed on the list of controlled substances in the US in 1999. Short- and long-term effects include increased heart rate and blood pressure nausea vomiting numbness depression amnesia hallucinations and potentially fatal respiratory problems. Ketamine users can also develop cravings for the drug. At high doses, users experience an effect referred to as K-Hole, an out of body or near-death experience.